Here you will get the answer sheet of CBSE class 10 Science subject topper 2018. Students can view this answer script to get an idea about writing perfect answers in board exams and learn the way to present their answer sheet in the best way to grab more marks in class 10 Science board exam 2019. All the CBSE Class 10 students who will write their Science exam tomorrow would be searching for tips and tricks followed by toppers to score high in the paper. CBSE, everyyear, releases the answer sheets of highest scorers in major papers of class 10 Board Exams. CBSE publishes these toppers’ answer sheets in the name of ‘Model Answers’. Students can go through the answer sheet of CBSE Class 10 Science topper 2018 to understand how to format their answers in CBSE Exams so as to extract maximum marks. In this article, we are presenting the scanned copy of the CBSE Class 10 Science Topper 2018. This answer sheet will showcase the strategy followed by the toppers in attempting the paper correctly to secure full marks. 1. A Mendelian experiment consisted of breeding pea plants bearing violet flowers with pea plants bearing white flowers. What will be the result in F1 progeny ? 13. 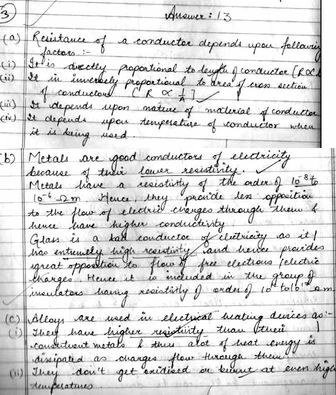 (a) List the factors on which the resistance of a conductor in the shape of a wire depends. 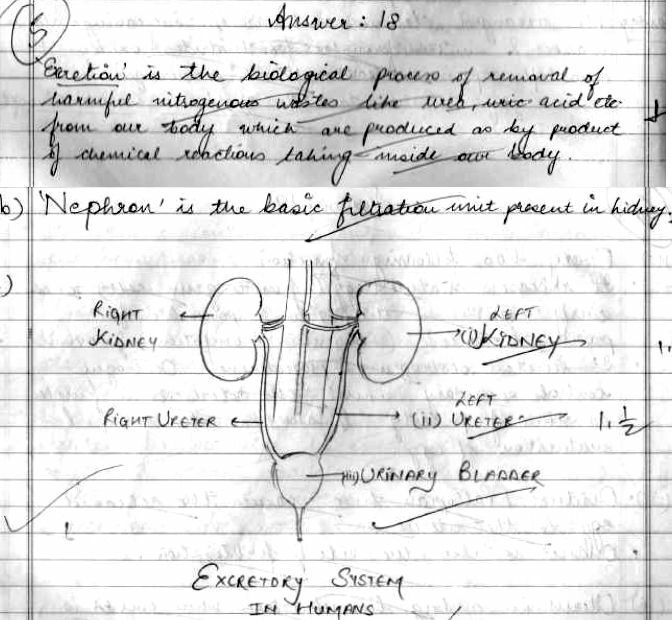 (b) Name the basic filtration unit present in the kidney. 18. List the steps of preparation of temporary mount of a leaf peel to observe stomata.